It is a night and day difference in power markets on the different sides of the Atlantic ocean. Coal generation is booming in the UK, where it just displaced natural gas as the top source of electricity. www.thesun.co.uk/sol/homepage/news/4400505/Old-king-coal-back-in-power.html. In the UK, coal is rising and provides 42% of its electricity. In the US, coal is falling and generates 32% of our electricity, as of April 2012. What's the difference? The price of natural gas is low here and expensive there, because America has embraced the Shale Gas revolution, while the UK and Europe have not. And so, according to the Sun, "experts say the high price of gas has forced power firms to return to coal" in the UK. Like it or not, at this stage of the world's development, the basic energy choice is between gas and coal. That's a fact. What are the costs and benefits of the shale gas revolution? It's a big question, answered by a new paper. While not everyone benefits equally from the shale gas revolution, and some have lost from the sweeping changes it has brought, researchers affiliated with Yale University calculate that shale gas delivers more than $100 billion per year of net benefits to the US economy and people. The paper can be read here: http://papers.ssrn.com/sol3/papers.cfm?abstract_id=2085027. The paper concludes at page 12 that annual benefits exceed costs by 400 to 1. It reaches this conclusion by assuming that 10,000 wells are drilled nationally each year and that 1% of the wells cause major damage estimated at $2.5 million per event or damages of $250 million per year. The paper is worth reading. Sustained $100 barrel oil unleashed a flood of oil and gas investment into the Americas, with many dollars targeting unconventional or tight oil supplies that can not be profitably developed if oil prices are below $70. In an article written by Angel Gonzalez, The Wall Street Journal reported on June 27th that the Americas attracted $320 billion of oil and gas investment in 2011 or 48% of the globe's total investment and up from 39% in 2003. That investment boosts oil production in the US, Brazil, and Canada, causing sleepless nights in Saudi Arabia, and partially explains why the Saudis continue to pump a high 10 million gallons per day, even though oil prices are falling. The Saudis want oil prices to fall to the $70-$80 range to stem competitive oil investments and teach Iran and Russia a lesson. Unlike Iran and Russia, the Saudis believe oil prices have been so high that investment in oil production, as well as biofuels, electric vehicles, and CNG vehicles, threatens their interests. Their solution is to push prices down, if they can, in part to raise risks for further investment in unconventional oil and oil substitutes. Look not much further than the facts that the Americas attracted 48% of global oil investment and that oil substitutes are emerging in the USA to understand why oil prices are falling but the Saudis keep their production high. For me, that translated yesterday into filling up with $3.15 gasoline. Many wonder how natural gas power plants could so quickly displace so much coal-fired generation. The nation went from 52% coal-fired electricity in 2002 to 48% in 2008 and then gas roared. Coal's share was down to 44% by 2010 and then to an incredible 34% by March 2012. How did that happen? Was there a massive wave of gas-fired power plant construction? While some new gas plants are built each year, and some power plants can run on coal or gas, the main reason why gas captured quickly massive amounts of the electric generation market is that so much of the nation's existing natural gas fired capacity sits idle every day. Much of that capacity is new, efficient plant that was built during a gas plant generation construction boom that peaked from 1999 to 2002. Low gas prices begin to put that capacity to work. Now a report by the American Clean Skies Foundation, that urges utilities and gas producers to sign long-term gas supply contracts, includes the fact that 62% of the nation's combined cycle gas turbines operated at less than 50% of their capacity during 2011. Simply astonishing! Indeed, the report documents that only 7% of the 192,481 megawatts of combined cycle gas turbines operated at more than 70% of capacity (see page 16). Low gas prices are raising gas plant capacity factors, but massive amounts of significantly under-utilized gas capacity remain. That fact means that the switch to gas is far from over, if gas prices stay competitive with coal. With so much gas capacity still sitting idle, natural gas could capture much more of the nation's electricity market, without the construction of any new gas power plants. The production of shale gas and the price of gas will tell the tale. And so the market reality is simple. Slowing or stopping shale gas production, for whatever reason, is bullish for coal, while growing gas production is bearish. The chatter is becoming intense that the unconventional oil revolution will crush oil prices, just as unconventional gas production drove natural gas prices from $13 for a thousand cubic feet in July 2008 to $2 in 2012. Leonard Mauger of the Harvard Kennedy School has authored a paper, entitled "Oil: The Next Revolution," that offers some numbers for our collective consideration on how unconventional oil production will reshape the oil markets. http://belfercenter.ksg.harvard.edu/files/Oil-%20The%20Next%20Revolution.pdf. The paper also was the subject of an article in yesterday's Wall Street Journal. Mauger projects that, as a result of booming unconventional oil, world oil production will increase to 110.6 million barrels per day (mbd) from 93 mbd currently. Mauger's supply projections assume that world oil prices remain above $70 to $80 per barrel, the pricing point needed to make most unconventional oil production economic. No doubt, a lot of new oil from unconventional sources is currently headed to the market, since oil prices have been consistently above $80. Just look at North Dakota and its jump to the number 2 oil producing state, the Eagle Ford in Texas, the Canadian tar sands, and Brazilian deep water wells, if you harbor doubt. And if demand does not grow with growing supply, an oil price collapse could happen. That possibility is amazing, stunning. World oil demand is currently about 88 mbd to 89 mbd and it is being relatively comfortably met by production capacity of 93 mbd. Yet, based on skyrocketing Chinese and Indian demand, the current conventional wisdom holds world oil demand will grow, even though oil demand will not grow in North America or Europe at all over the next 20 years, as a result of more oil substitutes and fuel efficiency. Mauger points out that global oil demand will have to grow 1.6% every year, to prevent an oil glut from emeging, if unconventional production pushes world oil production capacity to 110 mbd by 2020. That is not certain. Mauger's data does create a factual case for how supply could swamp demand for a year or so, leading to many months of prices that could drop to $50 per barrel. Prices at that level, even for a year, would be a major boost to the US economy that still consumes more oil than any other fuel or any other nation. Yet, that period of rock bottom oil prices would not last, since the price of marginal production in the global market is about $80 per barrel. While $50 per barrel oil would be fleeting, even given the possible mismatch between supply and demand that Mauger depicts, the unconventional oil boom should push into the much more distant future $125 to $150 per barrel oil. Or unconventional oil will deliver modest global oil prices, as long as the world remains peaceful and no major disruptions happen because of turmoil in Saudi Arabia, Russia, Iran, Iraq, Libya to name a few key oil producers. Of course, that is a big and precarious caveat. There has been a lot of pure drivel about the Volt's engineering and performance over the last year. Motor Trend, however, can be counted on for an objective review, after test driving the 2011 Volt for one year and 26,000 miles. Here is its review that matches pretty well my sister's experience: http://www.motortrend.com/roadtests/oneyear/alternative/1208_2011_chevrolet_volt_verdict/. Kim Reynolds writes that, "...the real headline here is nothing ever went wrong with the car. Zip. Zero...it was breathtakingly reliable, given the Volt is...the biggest quantum jump in automotive technology in decades." It's good to know that an American car company developed this cutting edge vehicle. Motor Trend says the price must come down for it to be a big commercial success and predicts it will. Motor Trend ends its review by taking a big shot at the "political pundits" cheering for the car's failure and reminding them of the sales history of the Prius, the last car to make the kind of technology jump the Volt has made. The full Motor Trend review is well worth the few minutes it takes. The Marcellus Shale rush is rooted in the region's superior economics. It's big and cheap to produce. In fact, Laurent Key of Societe Generale in New York is quoted by Bloomberg as saying that $1.90--an incredibly low price--is the price at which dry gas goes from being profitable to unprofitable in the Marcellus. By contrast, the gas price must be $3.20 in the Haynesville and Barnett shales for dry gas production to be profitable. See http://www.telegram.com/article/20120621/NEWS/106219795/1002/business. At recent prices, gas producers lose money producing dry gas in Texas and Louisiana but make profits in Pennsylvania. What does that mean? For one thing, Marcellus gas is uniquely valuable. For another, sustained prices below $2 will be needed to bust the Marcellus gas boom. That's just not going to happen. The wind power industry in Texas rewrites the record books every few months. It just happened again. On June 19th, Texas wind hit 8,368 megawatts of generation at 7:25 pm, breaking the "old" record that had been set in April. http://www.evwind.es/noticias.php?id_not=19340. Wind provided 17.6% of all the electricity consumed on June 19th within the ERCOT market that comprises most of Texas. Wind power capacity remained above 6,000 megawatts for the entire day and was at 7,790 megawatts during the daily peak from 4pm to 5pm. In short, wind provided 15% of the day's peak demand. Wind is very big business and a key to keeping air conditioning humming and the lights lit in Texas. Low natural gas prices are causing massive central station power plants to switch to natural gas but also are opening doors for more power production where businesses and institutions operate. An especially interesting option for on-site energy are combined heat and power (CHP) projects that cut bills and emissions, as a result of the much more efficient use of fuel. A big example of the growing CHP trend, another fruit of the shale gas revolution, is under construction by 400 workers in the Garden State. Partnering with Energenics US, LLC, Montclair State University is in the process of becoming substantially energy self-sufficient by building a 5.4 megawatts (CHP) gas power system on its campus that will provide electricity, chilled water, and steam to the campus. It is a $90 million project that showcases how CHP is good environmental stewardship and helps tight budgets by cutting energy costs. http://www.northjersey.com/news/education/Montclair_State_building_new_energy_plant.html. Look no further than Marcellus gas production for the most important, single reason why national gas prices have plunged, giving consumers a bonanza of savings, and causing gas generation to massively displace coal power. The Marcellus and especially Pennsylvania's production are the tipping point. Don't believe it? See the following great Bloomberg piece by Naureen Malik: http://www.telegram.com/article/20120621/NEWS/106219795/1002/business. In that piece, Fadel Gheit, the senior energy analyst for Oppenheimer and Company says: "The Marcellus single handedly changed the gas balance in the U.S...Marcellus Shale production is the reason why we have low gas prices." By March 2012, gas production from the Marcellus had reached 6.3 billion cubic feet per day or about 10% of US daily gas production. Marcellus gas production alone supplied 62% of the gas needed for the 6 New England states, New York, New Jersey, Delaware, Pennsylvania and Maryland--the 11 Northeast and Mid-Atlantic states. That was enough new supply to crash prices, given the inadequate increases in demand to keep up with production. At this point, the Marcellus gas production is bringing low gas prices not only to the Northeast 11 states but also across America, saving consumers many tens of billions of dollars, a blessing for the national economy. The US is likely to see 3,300 megawatts of solar installed this year, bringing total solar capacity to 7,700 megawatts by the end of 2012. Simply maintaining for 3 more years installation of 3,300 megawatts of solar would add another 9,900 megawtts from 2012 to 2015 and would bring total solar installations to 17,700 megawatts. Any growth in the amounts annually installed would push total solar capacity in the USA to about 20,000 megawatts in 3 years. While solar produces little during the night (some concentrated solar thermal plants produce after the sun goes down)17,700 megawatts of solar would produce substantial electricity during the peak hours and especially during the 500 hottest hours of the year. In competitive wholesale markets, during the very hottest hours, peak prices can go to the equivalent of $1 or $3 per kilowatt-hour or even higher. The addition of 17,700 megawatts of solar power will reduce peak power prices, especially during the 500 hottest and most expensive hours, saving consumers large amounts by creating lower market clearing prices that all consumers pay, whether or not they use solar power directly. Indeed, in Germany, where the world's greatest concentration of solar exists, peak power prices have been cut by as much as 40% as a result of solar generation. As in Germany and Italy, solar is going to reshape power generation economics in many markets in the USA within 5 years. Yet, when it does, more than a few will be just shocked. The boom is far from bust, but the pace of gas drilling in Pennsylvania is slowing, as a result of sustained, rock bottom gas prices that also are delivering massive savings to consumers and causing large displacement of coal generation by natural gas power plants. Drilling activity in 2012 will be lower than in 2011 and back to 2010 levels, according to data gathered at www.marcellusgas.org. New shale gas drilling permits are expected to decline from 3,172 in 2011 to 2,506 in 2012 or a 21% drop. Starts of new gas wells are projected to decline from 2,069 in 2011 to 1,779 or a 14% drop. While 2012 will see significant drops in both new permits and gas wells started, gas drilling activity in Pennsylvania still remains at high levels, despite 9 months of very low gas prices. The fact that drilling continues at such high levels in the face of persistently rock bottom gas pricing is remarkable and underlines that Marcellus gas is among the lowest-cost gas and most profitable gas to produce. You will not find this fact in any of Josh Fox's videos about fracking and shale gas. Our Canadian friends call it a "climate change stunner." The stunning fact for Canadians is that the USA leads the world in reducing carbon emissions since 2006. This fact likely stuns most Americans too, as little has been said about it. Across the Atlantic, the British are equally amazed by the turn of events that make the USA the world leader in reducing carbon pollution. A headline said somewhat incredulously: "US Carbon Emissions Down More Than Any Other Country." See http://www.ibtimes.co.uk/articles/20120620/carbon-emissions-down-more-than-any-other-country.htm. Both the Canadian and British reporting quickly identify that the shale gas boom is the key to the remarkable transformation of Uncle Sam into the world's leading carbon reducer. Importantly, both note that shale gas could do the same in other countries. For example, the British publication quotes the chief economist of the International Energy Agency (IEA), Fatih Birol, to say: "The replacement of coal by shale gas is a key factor and what happened in the US could very well happen in China and other countries and could definitely help in reducing CO2 emissions." Environmentalists attacking shale gas especially must come to grips with the facts stated by Mr. Birol, as inconvenient as they may be to anti-fracking campaigns around the world. Their failure to do so is the reason that famed environmental scientist and guru, James Lovelock, is "cross with the greens." 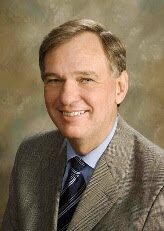 www.johnhanger.blogspot.com/2012/06/famed-environmentalist-embraces-gas.html. Roaring carbon increases in China, where shale gas is plentiful but not yet produced in large quantity, makes the US success in using shale gas to reduce its carbon pollution a particularly important model. Since 2006, the US has reduced carbon emissions by 7.7%, the equivalent of removing 84 million cars from the road. The total vehicle fleet in the USA is about 246 million and so a reduction equal to 84 million cars is enormous, comparable to more than 1 of 3 cars off the road. According to calculations by the Canadian journalist, the carbon footprint of a typical American is back to 1964 levels and US emissions are falling faster than necessary to meet the Copenhagen Accord goal of 17% reduction by 2020. So how is the news that carbon emissions are falling substantially largely as a result of shale gas being treated here? Remarkably few Americans have been exposed to the fact that the USA is now the world leader in cutting carbon emissions and to the fact that pollution fighting leadership is substantially thanks to the shale gas revolution. Most unfortunately, in some circles, the huge carbon reductions made possible by shale gas remains the truth that cannot be spoken. After a new round of record high temperatures during the first two days of the summer of 2012, now is a good time to discuss a major study that projects what the rising temperature of water used to cool power plants will do to power generation over the coming decades. It has happened a few times already--a power plant shutting down, because the water needed for cooling is too hot. The Browns Ferry Nuclear Plant had to stop operating last year when the water in the Tennessee River became too warm. Power reductions for the same reason have also happened at French nuclear reactors. About 90% of America's power plants require water to cool them, and their steam turbines operate poorly or not at all, if the temperature of the intake water is too hot. Now a study by European and American scientists concludes that rising river and water temperatures endangers the operation of up to 16% of America's generation capacity over the coming decades. http://www.eurekalert.org/pub_releases/2012-06/uow-nac053112.php. As average air temperatures increase and the ratio of record highs to lows expands, water temperatures are rising too. Temperature records for the Susquehanna River, for example, show an approximately 4-degree warming of its waters over the last 4 decades. Similar temperature increases have already happened on other waters and more heat is ahead. While effective propaganda that, for some, will be like warm milk to a cat, Fox's latest video is unsurprisingly riddled with errors and half-truths that are woven into a toxic political attack of the sort found regularly on right wing talk radio or Fox News. This video confirms that one must be careful about believing information provided by those named Fox. For example, even though it is now June 2012, Josh Fox once more falsely leads viewers to believe that gas drilling wastewater is pouring into Pennsylvania's waters and that our drinking water is radioactive. The radiation scaremongering is just too tempting to resist, no matter that it is 100% false. Of course, Fox mentions not at all that massive testing of waters in Pennsylvania's streams and taps confirm that Pennsylvania's drinking water is not contaminated with radionuclides nor with drilling wastewater pollutants. See www.pgh2o.com for the test results by the Pittsburgh Water and Sewer Authority, proving the water is safe. Another 14 drinking water companies, as well as the Pennsylvania Department of Environmental Protection, did testing for radionuclides of water at the tap and in streams and found the water safe. The bottom line is that drinking water from public water systems is tested daily to assure it meets the Safe Drinking Water Act. Gas drilling wastewater is not polluting the drinking water of any public drinking water system or water customer in Pennsylvania. Of course, Fox also does not mention that virtually 100% of Marcellus Shale drilling wastewater is now recycled, and none is discharged to rivers or streams. He also does not mention the 5 regulatory packages passed from 2008 to 2011, including the August 2010 rule that protects Pennsylvania's streams from Total Dissolved Solids pollution from drilling and other sources. Those facts are not scary and are unhelpful to the mission of this video. But their exclusion and the use of "radiation" word to scare should destroy the credibility of Fox for those who want real information and not a horror movie. The bulk of the movie, however, reflects an interesting strategic decision by Fox. The video focuses largely on methane migration and essentially lets go the claim that hydraulic fracturing fluids and chemicals are returning from depths to widely pollute aquifers. By focusing on methane migration and the Colorado tap water fireball in Gaslands, Fox may well be replying to the new video Truthland that critiques Gaslands on this point. Whatever is Fox's reason for focusing on gas migration, this is progress of a sort. Unlike fracking fluids returning from depth, methane migration caused by mainly cementing mistakes is an issue. Yet Fox goes off the rails in dealing with methane migration in two critical ways. First, Fox suggests that gas drilling mistakes cause all cases of methane in tap water. He seems determined to convince the viewer that it is impossible for gas naturally or prior to drilling to be in someone's water at levels that cause it to ignite. Fox's position on the causation of gas in water is as silly and wrong as saying that gas drilling mistakes never cause gas to migrate and contaminate water wells. While gas drilling errors have caused a small number of gas migration cases in Pennsylvania, Fox goes so far to suggest that methane is migrating from close to 50% of all wells ever drilled in the USA and world, an astounding suggestion that flies in the face of more than 100 years of gas drilling and cementing experience and 60 years of hydraulic fracturing. He directly states that the gas industry is engaged in a decades long global conspiracy to conceal what he claims are the massive numbers of gas wells that are causing large amounts of pollution to aquifers, wherever gas drilling has taken place for a century or more. No doubt, Josh Fox and Donald Trump could have a great time swapping conspiracy theories, and both have Manhattan abodes to make a meeting easy. While I hope for that summit, while waiting, let's look at what has happened in the real world. Pennsylvania itself has had approximately 400,000 gas wells drilled in its history and millions have been drilled in the USA. If gas were migrating from gas wells at anything like the rate suggested in this video, gas faucets would be flaming in millions of homes in America and around the world. Obviously, they are not. Instead, though the problem of gas migration is real, it is infrequent. When it does infrequently occur, repairs to gas wells can be made that may stop the migration. Whether repairs are successful or not, families, who have water polluted by gas drilling caused gas migration, should be paid twice the value of their property to compensate them fully and to push the gas drilling industry to make gas migration rarer still. Beyond gas migration, the Fox video features prominently a study or two that are selectively chosen, without any serious, let alone full, discussion of the important issues raised. Other health data and information is of course ignored. Also, the video is full of scarily shot images of gas development, but you will not find any pictures of gas wells after the land has been restored. Those look too normal, even beautiful. The video ends by urging more renewable energy, something that I fully endorse. But the viewer is not told that natural gas is displacing so much coal and oil that the US has reduced its carbon emissions more than any nation since 2006 and is on pace to exceed its Copenhagen Accord commitment of a 17% carbon reduction by 2020. The viewer is not told that coal generation has dropped from 52% of America's electricity in 2000 to 34% as of March, 2012. Shale gas has made that all possible. Shale gas has also slashed in the air the amount of mercury, lead, soot and other pollutants that sicken hundreds of thousands every year and cause tens of thousands of premature deaths. Natural gas emits virtually none of those pollutants, and natural gas power plants meet the EPA's new, tough Air Toxics and Cross State Air Pollution rules. Of course, Fox totally ignores the approximately $1,500 per year savings per year in energy costs that many families have received, including in New York, as a result of shale gas. The video contains not a second about landowners who have been able to stay on their land as a result of leases and royalties, and it has no time for the 1 million direct and indirect jobs the gas industry had created across America by 2010. The movie is all fear all the time. The fear-stirring in the video shows that Josh Fox and his supporters are afraid that Governor Cuomo may end the New York moratorium. The heat is certainly on Governor Cuomo. "Gas is almost a give-away in the US at the moment. They've gone for fracking in a big way. This is what makes me very cross with the greens for trying to knock it: the amount of co2 produced by burning gas in a good turbine gives you 60% efficiency. In a coal-fired power station, it is 30% per unit of fuel. So you get a two-to-one there straight away. The next two-to-one-gain you get is that methane has only got half its energy in the carbon, the other half is in the hydrogen, so there's a four-to-one gain in co2 output from the same amount of electricity by burning methane. Let's be pragmatic and sensible and get Britain to switch everything to methane. We should be going mad on it..."
The foregoing explains why the USA has led the world in reducing carbon emissions since 2006. The whole interview is well-worth reading and will surely make uncomfortable everyone who reads it. First it was Al Armendariz, the former head of the EPA Region 6 office, and then last week Tom Doll, now the former state head of oil and gas regulation in Wyoming. After uttering impolitic words, both Armendariz and Doll resigned their regulatory hot seats in the fracking wars. Armendariz and Doll roiled opposite sides of the fracking wars. Both had enemies waiting to pounce and metaphorically "scalp" them. Fairly or not, Armendariz was viewed as a foe of the gas industry, and Doll was seen as its friend. One was a federal regulator and the other a state regulator. Armendariz spoke about "crucifying" gas companies, while Doll said citizens in Pavillion, Wyoming who were complaining about pollution of their water wells were motivated by "greed" and just wanted to be compensated. See http://www.cnn.com/2012/04/30/us/epa-crucify/index.html. Also see: http://trib.com/news/state-and-regional/wyoming-oil-and-gas-supervisor-resigns-after-greed-comments/article_6a2fd09b-4d8d-5ff0-b1f8-714f155da906.html. The resignations of Armendariz and Doll remind me of 6 lessons that I have learned about regulating and surviving the regulatory hot seat. Despite the fates of Armendariz and Doll, one of those lessons is not say nothing and do nothing. First, regulators should neither be friends nor foes to those that they regulate nor to other interested parties. They, however, should listen and be accessible to all, as information and facts are the indispensable ingredient of successful regulation. Second, regulators should always strive to be professional and independent. Words matter but sometimes too much. That's a fact of regulatory life. Nobody should accept a regulatory position, especially one in the fracking wars, if one is not ready to pay a painful price for errant expression. Third, good regulators compile a record that displeases virtually everyone at one time or another, because facts and the truth are not the sole property of any interest, in each and every matter. Such a record proves professionalism and independence and paradoxically may build enough strength to survive even mistaken words. Fourth, good regulators compile a record that gives all parties at one time or another something that they value and wanted. Compromise, common ground, and finding creative ways to benefit as many interests as possible are at the heart of successful regulation. Such solutions build value for society. Fifth, good regulators understand the difference between rules that are essential and rules that are counterproductive. They defend mightily efforts to undermine or violate essential rules, while embracing reform and deregulatory initiatives aimed at counterproductive rules. Sixth, good regulators make sure that regulatory agencies recognize and fix quickly their own errors. Defending mistakes is a big mistake that both regulated companies and regulatory agencies make too often. Finally, the cases of Armendariz and Doll remind me why I hope Tom Murphy of Penn State University offers continuing professional education to those serving in top regulatory positions in the fracking wars. The jobs are important, but blowouts occur without care and training. Your eyes are not misleading you. You are seeing more solar systems all the time and more than ever before. Solar generation in the USA has increased by ten-fold or 900% since just 2008. Now that's a boom! Booming solar installations brought the USA within an eyelash of passing the 5,000 megawatts of solar power milestone as of March 31st. At the end of the first quarter, total solar generation in the USA stood at 4,943 megawatts and could provide power for 775,000 homes. www.seia.org/cs/research/. Solar generation certainly passed the 5,000 megawatt mark in April, an extraordinary achievement, given the USA had a total of 500 megawatts as recently as 2008. First quarter installations in 2012 hit record levels and grew by 85%, compared to the first quarter of 2011.
www.businessweek.com/news/2012-06-13/u-dot-s-dot-solar-grew-85-percent-in-first-quarter-seia-says. A total of 503 megawatts were installed at 18,000 projects during the quarter. SEIA is projecting that the USA will install 3,300 megawatts of solar generation this year, of which 1,800 megawatts will be utility scale projects. If so, the USA will have about 7,700 megawatts of solar installed by the end of 2012. SEIA projects that the USA will constitute about 11% of the global solar installations in 2012. The explosive growth is driving down pricing, with module pricing falling 47% and installed prices dropping 17% from the first quarter of 2011 to the first quarter of 2012. In turn, the fast falling prices are a key to continued growth in the global solar industry. With interest rates at record lows, investing in a solar system for homes or business may offer attractive returns for available capital. The solar revolution has progressed far enough that getting bids for a solar system is in 2012 a wise economic and environmental action. BP's 2011 Statistical Energy Review confirms that shale gas is the difference between coal booming or busting. Last year, coal boomed globally, reaching its highest share of global energy consumption since 1969, but it busted in North America. Why the stark difference between coal's fortunes in North America versus the rest of the world? Simply put, shale gas production is taking place almost exclusively in North America, and the result is intense competition between coal and natural gas for electricity generation market share in the USA. Elsewhere in the world, coal remains the unchallenged king. Here is the key fact from 2011. Coal energy consumption declined in North America by about 5% but jumped globally 5.4%, despite the substantial North American decline. http://www.bp.com/sectionbodycopy.do?categoryId=7500&contentId=7068481. Saying "No" to shale gas is saying "Yes" to rising coal consumption around the world. Like it or not, that's the fact, one that some environmental groups will not face. Only in North America is shale gas booming, where it now provides 37% of total gas supply, and only in North America is coal consumption falling. In the USA, natural gas challenges the 100-year reign of king coal, with coal's share of electric generation falling from 52% in 2000 to 34% in March 2012. Indeed, outside of North America, coal had an exceptionally good year, because it faces weak competition from natural gas. Coal consumption accounted for 30.3% of global energy consumption in 2011, again its highest share since 1969. The big coal consumption reductions in North America, where shale gas is booming, were more than offset by a 9.7% increase in coal consumption in China and 3.3% increase in Western Europe. Yes, coal even had a good year in Western Europe. Coal consumption grew much more rapidly than oil or gas usage, and coal grew substantially, even though wind and solar production skyrocketed around the world. Where shale gas is not yet exploited or even prohibited, gas is very expensive, as much as $18 for spot LNG into Japan for example, making gas a weak competitor to coal in most markets. Not surprisingly, high gas prices mean good news for coal producers around the world. A prime energy lesson of 2011, therefore, is that the absence or reality of shale gas production spells the difference between coal's best or worst of times. And since shale gas remains almost exclusively a North American energy source, 2011 was a very good year for coal in most of the world. Here is something else that is never found in monopoly electricity markets but is a reality in competitive electric markets--negative electricity prices. Competitive wholesale electricity markets can produce such fierce competition that sellers of electricity are willing to pay buyers of power to take their production. This is the strange but true world of negative electricity prices. Electric generation producers with the lowest production costs in competitive generation markets typically bid zero into the market and take whatever the market clearing price is. In the vast majority of hours each year, the market clearing price is a positive number. But in a small number of hours, in some geographic locations of competitive electricity markets, the zero supply bids actually exceed the amount of electricity demand. At that point, the market price goes negative. Again the EIA has the fascinating details at the link provided. Now which electricity producers have the lowest production costs and bid zero all the time to assure that they will be dispatched? Wind, solar, hydro, and nuclear plants, because these plants have no fuel costs or low fuel costs. Renewable generators typically have production costs well below 1 cent per kilowatt-hour, while well-run nuclear plants have running costs around 1 cent. This fact of power generation life in competitive markets is one reason why renewable energy producers lower wholesale market prices. There is a term for their impact: "price suppression." Negative pricing is, indeed, severely suppressed. The world's lights would flicker without the massive amounts of power coming from 45,000 large hydroelectric dams. In fact, hydro generation produces 16% of the world's electricity, while Norway, Canada, and Brazil are examples of countries, where hydo generates more than 50% of their electricity . http://www.earth-policy.org/data_highlights/2012/highlights29. Norway gets 95% of its power from hydro and enjoys some of the world's cheapest electricity. Perhaps you are not impressed by that one since Norway is small. Would knowing that Brazil gets 82%, Canada 62%, and China 15% of their electricity from hydro impress you more? It does me. As for Uncle Sam, 7% of his electricity comes from hydropower, still the single biggest source of renewable electric power in America. In this region, significant hydro projects at existing dams are under construction in both Ohio and Pennsylvania. Hydro generation has increased globally at 3% per year for the last 40 years. As is often the case in the modern world, China has a disproportionate impact on the rate of growth, because China has tripled its hydro production in the last 10 years. After compiling a jobs creation record over the last year that put Pennsylvania among the worst performing states, Pennsylvania has lost jobs during April and May. Here are the troubling numbers that demonstrate Pennsylvania needs more jobs than the gas boom by itself can provide. Pennsylvania lost 9,900 jobs during May, according to the latest data from the Bureau of Labor Statistics. www.bls.gov/news.release/laus.t05.htm. The May job losses followed April's 5,100 drop. While Pennsylvania lost jobs in May, Massachusetts, Ohio, California, New York, New Jersey are examples of the 27 states that gained jobs in the same month. To make matter more worrying, Pennsylvania' poor comparative job performance extends over the last 12 months. While just 27,800 jobs have been created in the Keystone state since May 2011, New York boosted jobs by 130,200; New Jersey by 59,800; and Ohio by 75,700. What about the supposed disaster of California? The Golden State saw 221,500 jobs added in the last 12 months. Or how about Massachusetts that is about half the size of Pennsylvania? It gained 37,100 jobs or about 33% more than Pennsylvania. According to Steve Herzenberg, a Ph.D economist from MIT, Pennsylvania ranks 39th for job growth over the last 3 months and 6 months and 36th over the last year. The last year ought to end the idea that the gas boom by itself is big enough to make Pennsylvania prosperous. It's not and never was going to be. According to IHS, as of 2010, the Marcellus Shale had created about 13,000 direct jobs in Pennsylvania and 57,000 total jobs. Those jobs came when desperately needed, have changed many lives much for the better, and benefited communities. They made an important contribution to Pennsylvania's big economy, but direct and indirect gas drilling jobs represented about 1% of all jobs in the state by 2010. Since 2010, job creation in the Commonwealth has been poor, when compared to other states and the nation as a whole. It is past time to stop expecting the Marcellus Shale to meet all of Pennsylvania's economic development needs. To regain jobs momentum lost over the last 12 months, Pennsylvania must invest in transportation, education, medicine, manufacturing, agriculture, tourism, as well as other sectors of the diverse energy industry. US oil production has already increased more than 1 million barrels per day (BPD) since 2008, and it will increase further in the coming 12 months. By 2013 the US may produce at a rate of 7 million barrels per day or about 2 million barrels per day more than was the case as recently as 2008. Adding or subtracting 2 million BPD from a world oil market that has daily volumes in the mid-to-high-80-million-barrels zone moves world oil prices. The price for oil is set at the margin of the market, and the impact of 2 million barrels per day on the clearing price depends on how tight the market is at various times. Impacts could range from modest to substantial. US oil production increases are dampening the global price of oil and are further magnified by the contemporaneous decrease in US oil consumption. US oil consumption peaked in 2007 and has now fallen back to 1999 levels. Last year continued the trend, with gasoline consumption dropping 2.9% or the equivalent of 260,000 barrels per day. www.eia.gov/forecasts/steo/pdf/steo_full.pdf. While the rise of US oil production and the fall of US oil consumption are not the whole reason for the recent sharp drop in oil prices, they are a contributing factor. Yes, things that we don't control fully--the travails in Europe and Iranian nuclear tensions--drive oil prices probably even more. But we are not completely at the mercy of external forces for how much oil costs. Another way to put it, thank especially North Dakota for producing lots more oil; folks giving fuel efficient vehicles like the Prius record sales; and booming biofuels and oil substitutes for the drop in gasoline prices. IHS is reporting that unconventional gas created directly and indirectly 1 million jobs in America by 2010 in a study done for ANGA. See www.ihs.com/unconventionalnaturalgasstudies. That's a jobs boom just when America desperately needed one. How desperately? America was hurtling into a Depression from November 2007 to the first quarter of 2009, with the stock market falling from over 14,000 to 6,500 and oil collapsing from $147 per barrel in July 2008 to $33 by December 2008. Let's also remember that the unconventional gas jobs were substantially created at a time when America went into recession in November 2007 and then experienced an 8.9% and 6% GDP contractions respectively in the 4th quarter of 2008 and the first quarter of 2009. At that point, monthly job losses ranged from 500,000 to 750,000, a real calamity. The massive job creation from unconventional gas undoubtedly played a significant role in stabilizing GDP which began growing by the third quarter of 2009. Monthly national job losses ended in February 2010, and jobs have been added every month since then. Shale gas created 13,600 direct jobs and 57,000 total jobs in Pennsylvania as of 2010, according to the IHS study. Pennsylvania is expected to see further substantial job creation by 2015 from gas production. The big picture is often lost in the swirl of the moment and the press of events. The unconventional gas boom came in the nick of time to help avoid a national economic disaster and has been an important part of national recovery. A great many people are thankful. Oil imports are dropping like a stone, down about 30% in 7 years. And they will fall further next year, according to the EIA's just released Short Term Energy Outlook. www.eia.gov/forecasts/steo/pdf/steo_full.pdf. In 2005, US oil imports peaked at about 60% of the total. Then the fall began. The combination of increased domestic production, consumption reductions, and oil substitutes gaining ground had made a big difference by 2010 when oil imports were down to 49%. Last year saw another big decline to 45% of oil, and this year imports are expected to account for 42%. What about 2013? Oil imports will be at the 40% mark, according to the EIA forecast. Going from 60% imports to 40%--a 20-percentage-point drop--in just 8 years is a big deal. Simply put, the US should cut its oil imports by one-third in 2013. That fact is worth celebrating. But we must not be satisfied with the progress made to date. We know now the recipe for ending foreign oil imports: increase fuel efficiency, boost domestic production, and boost the usage of oil substitutes like natural gas, biofuels, and electricity. Let's finish the job within ten years. Why are gas prices well below $2.50 and falling further of late? Do such prices make any sense, when the gas drilling rig count has fallen nationally from 936 in mid-October 2011 to 588 as of June 1, 2012? Surely such a big reduction in gas drilling would have cut supply significantly more than 7 months into the drilling cuts and raised prices. Actually not. According to the EIA, 2012 gas production is 3.4% above 2011 levels or up the equivalent of 2.3 billion cubic feet per day, despite the approximately 35% decrease in gas drilling rigs. www.eia.gov/forecasts/steo/pdf/steo_full.pdf. Look no further than the jump in oil drilling rigs operating for an explanation of how gas production in 2012 to date has exceeded 2011 levels. Rigs drilling for oil have jumped from 777 to 1386 from early 2011 to June 1, 2012. That is a huge amount of drilling. Not surprisingly, given all the rigs drilling for oil, oil production is surging and often has a bonus too. A lot of "associated gas" is being produced with the new oil production and is one reason why natural gas supply remains high, despite the sharp gas drilling rig count decreases. All this adds up to exceptionally low gas-prices for the remainder of this year, unless a scorching summer envelops the nation. That means natural gas will continue to displace large amounts of coal in electricity generation in the coming months and that consumers will enjoy further big savings on their gas and electricity bills in many markets. Tom Fitzgerald of the Philadelphia Inquirer has a piece examining about whether Mitt Romney will contest Pennsylvania this year that also contains a treasure trove of great political facts about Presidential politics in Pennsylvania. It really is a must read if you have any interest in politics. Go to: http://www.philly.com/philly/news/politics/20120612_Pennsylvania_s_position_in_presidential_politics.html. On the question of whether Mitt Romney should contest Pennsylvania, political pros seem to be edging toward "No." My gut says those pros are wrong and that their view of what is possible in the next 5 months is shaped too heavily by the last 5 Presidential elections, where the Democratic nominee won the Commonwealth. Lost in the fact that the Democratic nominee has carried Pennsylvania in the last 5 elections is that Pennsylvania is always close. Not counting the 1972 Nixon blowout, only Barack Obama's 10.32% margin in 2008 reached double figures, though the President topped out at 54.47%. Every other winner of Pennsylvania has been kept to single digit victory margins. Bill Clinton carried the state twice by margins of 9% but did not get to 50%, as a result of Perot. The Reagan juggernauts carried Pennsylvania by 7% margins in 1980 and 1984. Kerry, Gore, George Bush in 1988, and Jimmy Carter in 1976 all won squeakers, with margins between 2% to 4%. With a history like that, and given how turbulent our times and politics are, Romney makes a mistake if he passes in 2012 on Pennsylvania. But Democrats would be thankful if he does. The numbers are simply stunning, but they add up to the Golden Age of Renewable Energy. One-half of the 208,000 megawatts of new generating capacity built in the world during 2011 were renewable energy power plants. Wow! In the USA, renewables accounted for 39% of all generation capacity added during 2011. The world now has 1,360,000 megawatts of renewable energy generation. That is more electric generation capacity than the total generating capacity of all types in the USA. Global 2011 renewables investment reached $257 billion, with solar exploding to $147 billion. The USA saw $51 billion invested in renewables last year. Solar and wind prices fell 50% and 10% respectively around the world, as economies of scale and technical improvements make these power sources cheaper with the passing of each year. These and many, many more numbers are in the Renewables 2012 Global Status Report that is compiled REN21. For the Report, go to: .ren21.net/default.aspx?tabid=5434. A summary of the report can be found at: esciencenews.com/articles/2012/06/11/global.investment.renewable.energy.powers.record.257.billion. I urge a review of the report and then ask yourself, do you agree with Mr. Fanning's view (CEO of Southern Company) that renewables are a niche play? The Golden Age of Renewables is underway and will coincide with the natural gas booms. Daniel Yergin stated on Sunday in the NYT that shale gas now provides 37% of America's gas supply and that US oil imports are down to 42% from 60%. www.nytimes.com/2012/06/10/opinion/sunday/the-new-politics-of-energy.html?r=1&partner=rss&emc=rss. Both are good news facts and stunning too. Shale gas doubled to 37% of all US gas from just 16% in February 2011 and 2% or less around 2000. Imports recently accounted for 60% of our oil but today are down to 42%. A big drop in a short time. Further declines are ahead, as US oil production surges above 6 million barrels per day, more fuel efficient vehicles replace gasoline guzzlers, and more biofuels and other substitutes cut further our oil demand. While the WSJ was on Saturday softball interviewing one of the nation's biggest gas skeptics, the NYT penned the same day a pro-natural gas editorial that embraced the IEA's Golden Rules of Gas paper. http://www.nytimes.com/2012/06/10/opinion/sunday/natural-gas-by-the-book.html. Congratulations to the New York Times Editorial Board for being substantially immune to the Drilling Down Series that appears regularly in its pages and for offering a measured prescription for moving forward. Happily and importantly, the regulatory changes that the Editorial Board urges have often been completed. For example, in Pennsylvania, from 2008 to 2011, regulations governing gas drilling were modernized and strengthened in 5 separate regulatory packages. Regulatory oversight staff was more than doubled in 2009 and 2010 to coincide with the shale gas boom. Inspectors actively enforced rules, issuing 1200 and 1100 violations to the industry in 2010 and 2011 respectively. Additionally, sensible rule changes at the federal level have been completed. The EPA final rulemaking on air emissions from gas production will slash methane leakage in the gas drilling and completion phases. It is a bigger deal than the Editorial writer may appreciate. Indeed, the climate benefits of natural gas will soon be greater than they have ever been, as methane leakage is reduced significantly. The water impacts of gas production always were lower than those caused by coal and oil and some other fuels like corn ethanol. Today, they are declining further as technologies like recycling and other water treatment options proliferate. In fact, in Pennsylvania, where recycling technology was developed first, nearly all shale gas drilling wastewater is recycled. Meanwhile, the burgeoning use of natural gas is delivering major environmental benefits. It has avoided or cut already the equivalent of 1 billion tons of carbon dioxide per year and enormous amounts of mercury, lead, soot, nitrogen oxide, and sulfur dioxide pollution that sicken people. One simple truth cannot be ignored, though it is inconvenient for some: Americans are breathing much cleaner air this morning than just 2 years ago because of the success of gas in displacing dirtier fuels. Is it me or did Thomas Fanning, the CEO of the Southern Company, in his Saturday interview with the Wall Street Journal, sound a tad defensive in his extraordinary interview entitled, "The Natural Gas Skeptic"? In Fanning's mind, Southern Company's captive consumers are better off both because of his natural gas skepticism and because the company's political power fended off deregulation and kept its state-sanction monopoly, insuring electricity consumers remain wards of state regulators. online.wsj.com/article/SB10001424052702303448404577410473497091202.html. Since Fanning's consumers cannot fire him, those regulators better be alert, especially so, given Fanning himself calls his company "a bird of prey." After whacking electricity competition and natural gas, Fanning declares renewable energy to be just a "niche play," but claims nobody is more excited about renewables than him. Please excuse my smile and view that renewable energy is more than Fanning apparently thinks. Today renewable energy provides 13% of the nation's electricity and is among the nation and world's fastest growing energy sources. In the USA, when biofuels are included in the calculations, renewable energy provides more total energy than nuclear power, something about which Fanning is genuinely excited. What explains Fanning's skepticism about gas and criticism of competition? Could Southern's $14 billion investment in two nuclear plants in Georgia and another $2 billion expenditure for a coal gassification plant in Mississippi shape his opinions? Unfortunately, the WSJ raised neither hugely expensive construction program. The exclusion of what some consider to be white elephants in the room was particularly unfortunate, because neither would be possible, if Southern did not have a state-sanctioned monopoly. To build an equivalent amount of natural gas capacity, as the Georgia nukes may one day provide, would have cost just 14% of the $14 billion nuke bill. Or to put it another way, natural gas plants would cost Southern's ratepayers $2 billion, and not $14 billion, assuming the nukes are built on budget about which there is always doubt. Since they have no choice or competition to protect them, Georgia ratepayers are already paying for the nuclear plants that will not operate until 2017, that are behind schedule, and that are embroiled in a major cost overrun dispute. As for the Mississippi ratepayers, press reports indicate that their electricity rates will rise as much as 28% to pay for the $2 billion plant about which they have no choice or competition as well. Meanwhile, in Pennsylvania, where electricity customers are free to choose from electricity suppliers who compete for their business, electricity prices have been declining steadily since 2010. In fact, competition is so fierce in the Keystone state, where as many as 30 companies compete for consumers in some areas, that Direct Energy is offering a free day of electricity per week in the PPL service territory. Moreover, 10,000 megawatts of new generation has been built since 1999 in the Commonwealth by investors, without forcing electricity ratepayers to finance the plants. No Pennsylvania consumer is paying hundreds of dollars for plants that may operate five or more years in the future and from which he may never get any service. Most of the 10,000 megawatts constructed in Pennsylvania in the competitive era is natural gas, but 1,500 megawatts of new renewable energy capacity will be built by the end of this year as well. Electricity competition in Pennsylvania and other states and the shale gas revolution challenge the wisdom of Mr. Fanning's investment decisions and prescriptions for policy. At the end of the day, Georgia and Mississippi put their faith in Mr. Fanning and their state regulators to make energy choices for their captured, monopoly consumers, while Pennsylvania puts its faith in the free and collective buying decisions of its consumers to direct investment. Having been a state utility regulator and a utility consumer advocate, I have no doubt about which system will produce better results over time for society and electricity consumers. Sustained, high oil prices have produced a renaissance in the US oil industry during the last 4 years that is just remarkable. US oil production is at about 6.2 million barrels per day, up 25% since 2008, and at its highest levels since 1998. www.eia.gov/todayinenergy/detail.cfm?id=6610. All that oil is worth about $200 billion per year, even at $80 per barrel. Rising US oil production continues and could break the 7 million barrels per day mark in 2013. Production increases of 1.2 million barrels per day may soon be 2 million barrels per day, compared to 2007 numbers. As Uncle Sam produces more oil, he consumes less. US demand for oil peaked in 2007, and our thirst for oil has declined to 1999 levels. More fuel efficient cars replacing gas guzzlers and rising use of substitutes like ethanol and natural gas are part of the reaction to sustained, high oil prices. US changing oil production and consumption is big enough to affect the global oil price. More on that in an upcoming post. Showing that the market share gap between coal and gas closed from 36 percentage points in 2000 to 4 percentage points, the March 2012 Electricity Monthly Review from EIA documents the rapid change markets bring. By reporting that coal generated 34% and gas 30% of America's electricity in March, the EIA data poses 2 questions: when will natural gas generate more electricity than coal in the USA? And could natural gas generate more power than coal for a full month as early as this summer? Only a few years ago, nearly all estimates placed the date for when natural gas would be America's top source of electricity generation as 2025 or later. I, however, actually was a dissenter from the conventional wisdom, an outlier, and projected earlier dates. After nearly 4 years of the shale gas boom, estimates are changing, and my once unconventional estimates are becoming closer to conventional wisdom. This week the International Energy Agency estimated that, in the USA, gas may first surpass coal for a full year as early as 2017. That would end a 100-year reign for coal atop the power generation market. Yet, if 2017 becomes the first full year when gas generates more electricity than coal, when will the first full month be, when gas passes coal? Perhaps much sooner than later could be the answer. Though coal will produce more electricity than gas for all of 2012, this summer may see a full month, in which gas generates more electricity than coal. If it happens, it is most likely to happen in July or August. If it does not happen this year, it may not happen until 2015 or even 2016, since gas prices are projected to climb in 2013. Factors that will impact whether gas takes over the number 1 spot for a full month this summer include the pace of coal retirements before July, the amount of new gas generation that comes on line by July, the rate of breakdowns for the nation's coal and gas power plants in July or August, gas and coal prices, and whether high summer temperatures cause the very last available gas combustion turbine plants to fire up for a good number of hours to meet peak demands. In 2013, assuming natural gas prices rebound and reach above $3 for a thousand cubic feet, coal will recover some market share. But the amount of market share that coal recovers in 2013 an beyond will be limited by coal plant retirements and new natural gas plants starting to generate over the next 5 years. The IEA, therefore, may be close to the mark in circling 2017 as the year when gas becomes--on a full year basis--the number 1 electricity generation source in the USA. If so, even just 2 years ago, nobody would have thought that possible. Amazing. The US electric system is highly reliable, and one basic reason for its reliability is that the opening of new power plants greatly outpaces the retirement of old ones. In fact, new plant openings are outpacing retirements by a 3:1 ratio. Official data shows that 4,844 megawatts of new generation opened across America, while 1677 megawatts closed, during the first 4 months of 2012. www.eia.gov/electricity/monthly/. Gas and wind dominate the new plant category, with gas leading. Approximately 2,770 megawatts of gas plants opened through April. Solar and biomass make up most of the remainder of new plant openings. The EIA data lists one new coal plant opening. In the retirement category, coal plants account for a bit more than 1,000 megawatts of the retiring units, with gas plants second. The steady opening of new gas plants and the retirement of old coal plants is a major factor moving natural gas toward being America's biggest source of electric generation. Not surprisingly, the new capacity is much more fuel efficient and cleaner than the retiring capacity or the average capacity that is operating today. Put aside hydro power generation. Focus on electricity made from non-hydro renewable projects: wind, solar, geothermal, biomass. The USA is number 1 in the world in the total amount of electricity generated from non-hydro renewables. The US generates 70% more electricity from such sources than the globe's number 2, non-hydro renewable power country--Germany. All data at: www.eia.gov/energy_in_brief/renewable_electricity.cfm. Though Germany trails the USA in total power produced from non-hydro renewables, Germany does get a higher percentage of its power from such sources--approximately 20%. Including hydro, the USA gets 13% of its electricity from renewable energy. But non-hydro renewables provide a bit more than 5% of the USA's total electricity. Now bring back hydro into the analysis. Where does the USA rank in renewable electricity production, when hydro is included? Number 2. With hydro included, as a result of massive hydro projects, China leads the world in producing the most electricity from renewable energy resources. The facts startle, even if the trends they confirm are no longer surprising. Nearly everyone knows that gas, wind and solar generation are booming. But the size of the boom and its duration are extraordinary. From March 2011 to March 2102, gas generation was up 40%, wind 28.6%, solar 92%, according to the latest EIA monthly data. http://www.eia.gov/electricity/monthly/. While gas and wind soared, most other generation sources fell. Coal generation fell 21%, oil 25%, hydro 17%, nuclear 6%, biomass 5%, and geothermal 2%. All those went down, as gas, wind, and solar jumped up. What do such market trends mean for the environment? Air pollution and carbon emissions are dropping substantially in the USA. Coal's market share of electricity generation dropped once more in March, falling to 34% of all electricity produced, according to the Energy Information Administration. EIA states that the 34% mark is the lowest ever recorded since 1973, when it began tracking the data. http://www.eia.gov/todayinenergy/detail.cfm?id=6550. Coal's decline has been natural gas' rise. Natural gas hit the 30% level of electricity production in March. The coal and gas trend lines continue to converge, with just 4 percentage points separating them. Even a year ago, virtually nobody predicted this massive, sharp move in electricity generation, since few saw sustained $2 natural gas pricing. One result of this surpising turn is a sharp reduction in air pollutants, including carbon emissions. The air is getting cleaner than ever. Pennsylvania is moving on up the natural gas production rankings. johnhanger.blogspot.com/2012/06/pa-passes-oklahoma-now-number-4-gas.html. In fact, Pennsylvania will jump over Wyoming and move into the Number 3 gas producing spot by 2013. Pennsylvania could well be producing at rates equivalent to 2.5 trillion cubic feet of gas per year by 2013, according to data gathered by Bentek and reported by the Associated Press yesterday (see the above link). Production of 2.5 trillion cubic feet would vault Pennsylvania over Wyoming and put it close to number 2 Louisiana. It would also mean that the Commonwealth would be producing about 10% of America's natural gas. For those wondering about the number 1 spot, Texas occupies it,.by producing an incredible 7 trillion cubic feet or about 30% of US gas in 2011. If Pennsylvania does reach production levels equivalent of 2.5 trillion cubic feet by 2013, it will represent a near doubling of its 1.3 trillion cubic feet production in 2011. If you drive around the major highways in the Harrisburg, Pennsylvania area, you will see eye-catching billboards promoting free electricity. Not surprisingly, free electricity sounds good to many consumers, but is it real? And why is it being offered in central Pennsylvania? Indeed, Direct Energy, a leading competitive electricity supplier, is offering a pricing plan that revolves around one day of free electricity each and every week, in the PPL service territory. To make matters better, the consumer picks the day. residential.directenergy.com/EN/Energy/Pennsylvania/Pages/ELE/res-ele-default.aspx. Despite the strong consumer response to Direct Energy's offer, free power day pricing plans remain highly unusual for one reason: metering. Few consumers live in a utility service territory, where both smart meters have been installed at all the homes and businesses of customers, and where state law embraces retail competition for electricity generation. Simply put, old meters that record just the total electricity consumed in a month, without recording how much power was used each hour or even every five minutes, make it economically impossible to customize electricity pricing plans to the usage patterns of consumers. No mass installation of smart meters means no Free Power Days. Direct Energy is offering the Free Power Day Plan and other innovative pricing plans to customers that live in the PPL service territory in Pennsylvania, because PPL has installed "smart meters" at all of its electricity accounts. To date, PPL is the only Pennsylvania electric utility to do so, though all Pennsylvania utilities are deploying them. Pennsylvania state law (Act 129) in fact requires the completion of smart meter installation essentially by about 2020. As a result, in the coming years, thanks to electricity competition and smart meters, nearly all Pennsylvanians may have the chance to choose among various pricing plans, including the attractive Free Power Day. Yesterday brought major, new data for conducting life cycle calculations of the comparative carbon emissions from natural gas and coal production. The API and ANGA released a paper that sharply cuts estimates of methane emissions from gas production, as a result of new data collected from a massive survey of 20 companies and 91,000 gas wells. http://anga.us/media/249160/anga%20api%20survey%20report%201%20june%20final.pdf. It is the single, biggest source of data about methane emissions ever made available for public inspection and discussion. A good result of the shale gas battles is the increased focus on getting better data about gas drilling and specifically on how much methane "leaks" or is emitted to the atmosphere from the gas drilling stage all the way to combustion. Broad agreement exists that the data available to estimate methane emissions must be increased and urgently. The urgency springs from the increasing role of natural gas in powering America and the incompleteness of current data. Despite the data gaps, EPA revised upward by 204% in 2011 its previous 1996 estimates of methane emissions during gas production. The EPA upward revision was based on data gathered in 2010 through its Natural Gas Star program and from about 8,800 or 2% of the nation's gas wells. This data, from 4 sets, was then used to extrapolate emissions for all the nation's more than 440,000 gas wells. The EPA 2011 upward estimate was made without the benefit of a formal public comment and hearing process that can provide a testing of information and diverse inputs. Once the EPA released last year its upward revision, some observers questioned the accuracy of the data and analysis, while others accepted the new projection. In his paper, Professor Howarth even pushed forward a range of higher estimates and made other assumptions that inflated the life cycle scoring of emissions from gas. Numerous studies have now been published that rebut the conclusions reached by Professor Howarth. To fill the data gaps that has been one basis for controversy, the Secretary of Energy's Advisory Board on Shale Gas in its 2011 Report called for the industry to cooperate to provide more complete information to the public as soon as possible. With that as background, now comes the API and ANGA with its paper based on data from a survey of 18.8% of the nation's estimated total gas wells. The paper focuses on two parts of the gas production process--gas wells liquid unloading and rates of unconventional well re-fracturing--that accounted for 59% of the EPA's 2011 total emission estimates. The API/ANGA reported data reduces by 86% the EPA emission estimate for gas well liquids unloading that accounted for 51% of the EPA total methane emissions. The paper also reduces by 72% the EPA emission estimate for unconventional well refracturing emissions that accounted for another 8% of the EPA 2011 total methane emission estimates. On the rate of refracturing of wells, the EPA had estimated that 10% of wells are refractured, while the API data reports the re-fracture rate is 0.7% to 2.3%. The API/ANGA data on just gas wells liquid unloading and unconventional well re-fracturing would indicate that the EPA 2011 revision is significantly mistaken. Using the API/ANGA data for just the two processes that they surveyed would cut the EPA 204% upward revision to about a 50% upward revision. Importantly the API/ANGA survey does not provide a basis for adjusting the 41% of total emissions in the EPA 2011 revision that are attributable to processes other than re-fracturing and liquids unloading. Also this survey was done before the EPA final rule on gas air emissions went into effect, and that rule will cut further methane (and other) emissions from gas production. While API and ANGA themselves state more work must be done to refine and collect more information about methane emissions, this paper sharply boosts the available data and will be undoubtedly carefully reviewed by many observers. Moreover, still more data is being collected by the EPA and others. All the new data and efforts to collect more will increase public and scientific understanding, and that is a good thing indeed. How many times does the economy have to be damaged by high gasoline prices, before we break our addiction to oil, still America's number one source of energy, supplying about 34% of our total energy? The May jobs report shows that the US economy slowed substantially this Spring; just as it did in the Spring of 2011; and just as it did in July 2008, when oil hit $147 per barrel, and then plunged into an 8% GDP contraction, during the fourth quarter of 2008. The connection between rising gasoline prices and falling economic growth and lost jobs is plain to see. At the end of 2010, gasoline prices averaged $2.83 cents per gallon; then hit $3.96 by April 2011; fell to $3.19 by December 10, 2011; and then surged to $3.92 by April 2012. All data from gasbuddy.com. Put simply, consumer demand in the USA cannot withstand $3.90 gasoline, and so the economy slows to a crawl, when gasoline prices rise to that level. Since peaking in April, gasoline prices are heading downward quickly, already averaging about $3.59 across America. In my home area, prices are down to $3.30, while they are below $3.00 in South Carolina. The difference between $3 and $4 gasoline is $500 to $750 per year for many Americans. Rising gas prices take that much out of pockets, and falling prices put that much back into the economy. These flows of cash are big enough to impact consumer confidence and spending and hence economic growth and jobs. Indeed, the on-going fall in prices--the return to $3 gasoline or lower--could fuel another burst of job creation in late 2012. While we remain painfully vulnerable, getting repeatedly mugged by rising gasoline prices is finally causing significant moves to lessen the impact of oil on our economy. The country is becoming more fuel efficient, having cut its oil demand to 1999 levels. Substitutes like biofuels, natural gas, and electric vehicles are growing but too slowly to prevent the most recent damage. Domestic oil production too is increasing, but it is priced in the global market. Few things are as important to our future and security than breaking our addiction to oil and ending the repeated beatings of our economy by $4 gasoline. Uncle Sam just got another painful lesson why. New April 2012 data shows Pennsylvania rapidly moving up the natural gas production rankings. After being a small gas producing state, not even in the top 10 for most of its recent history, Pennsylvania ended 2011 ranked 6th for the year, when it produced 1.3 trillion cubic feet. Only Texas, Wyoming, Louisiana, Oklahoma, and Colorado produced more gas last year. www.eia.gov/todayinenergy/detail.cfm?id=6030. That was an impressive, quick climb up the rankings but just the beginning. The Commonwealth's ascent continued in the first 4 months of 2012, and it jumped over Colorado and Oklahoma into the Number 4 position. www.google.com/hostednews/ap/article/ALeqM5gYjYjHdeWNik7faGQhVkuGZ6Uinw?docld=69e15e2ecf2b4365a768257d86aa783c. In 2011, Oklahoma and Colorado produced 1.8 and 1.6 trillion cubic feet respectively. Moreover, Pennsylvania's climb up the gas producing rankings is not yet done. Bentek reportedly forecasts that Pennsylvania gas production could increase 31% over the next 16 months. Perot, Nader, and now the former, two term Governor of New Mexico, Gary Johnson. May was a big month for Johnson that puts him on course to shake up the 2012 Presidential race, as Nader and Perot did respectively in 2000 and 1996. In May, Governor Johnson became the Libertarian Party's nominee for President of the United States; qualified for federal matching funds; and registered some impressive state polling results. Just in the last 2 weeks, polling has put Johnson's support at 9% in Arizona, 6% in Wisconsin, and 12% in New Mexico, his home state. www.uncoveredpolitics.com/2012/05/24/ppp-survey-shows-johnson-polling-at-9-in-arizona/ and www.reason.com/blog/2012/05/24/reason-rupe-wisconsin-recall-poll-walker. Governor Johnson will be the most successful candidate for President in the Libertarian Party's history, but he could make a bigger mark than that. His recent polling numbers in Arizona, Wisconsin, and New Mexico mark him as a third party candidate in the same class as Nader in 2000 and Perot in 1996. Unsurprisingly, Johnson's inclusion in polling impacts the Obama versus Romney numbers. For example, the PPP poll (www.publicpolicypolling.com) of Arizona had the race 50-43, without Johnson, but 45-41-9, with Johnson. A 7-point lead for Romney shrank to 4 points, with Johnson taking about 2 votes from Romney for every vote he claims from Obama's totals. Older polling showed Johnson impacting similarly Virginia. History, however, would suggest that Johnson's support may actually decline from current levels, when the election nears and voters understand that the third party candidate will not win. Yet, three factors may help Johnson avoid that fate. First, unlike many third party candidates, Johnson is qualified to be President. He is a former two-term Governor of New Mexico, with more experience and success in government than Governor Romney, and more experience than President Obama when he ran in 2008. He is a serious man who should be taken seriously. Second, the Ron Paul campaign has successfully spent the last 12 months bringing increased visibility to Libertarian ideals and principles. Unlike the President or Governor Romney, Johnson provides a home for those Ron Paul supporters who are committed to building a Libertarian movement. Third, the trials and tribulations of the country make 2012 particularly fertile ground and timing for a serious third party effort. Polling shows up to 20% of voters are open to voting for a third party this year. How much will Johnson impact the unfolding 2012 story? Polls of battleground states, without his inclusion, are useless. He matters a great deal in his home Southwest region and is pulling enough votes to impact the outcome in as many as 15 states around the nation. That makes him a key character in the 2012 drama. The New York Times reports this morning that, after recently closing all of its nuclear plants, Japan may restart its first nuke as early as next week. That news has multiple implications, including for fossil fuel pricing around the world, as nuclear power had supplied 30% of Japan's electricity, the world's third largest economy, and for global carbon emissions. Japan's carbon emissions jumped, returning to 15% above 1990 levels, in the wake of the Fukushima disaster. The Japanese government's and Tokyo Electric Power Company's credibility about the status and impacts of Fukushima has been shot for a long time. Local government Japanese resistance to restarting nuclear plants had been rooted in their public's concern that Japanese nuclear regulators were not independent of the industry and had refused to face obvious earthquake and tsunami risks. Undoubtedly, local confidence has been further shaken by the national government's information management. Over the last 14 months, the estimates of the amount of radiation released have been repeatedly and significantly revised upwards. For example, in February, 2012 the radiation release estimate was moved up to 480,000 terabecquerels. Three months later, the estimate of radiation released from the 3 core meltdowns and the fire in a cooling pool storing waste rods doubled last week to 900,000 terabecquerels. www.bloomberg.com/news/2012-05-24/fukushima-s-estimated-radiation-leak-doubles-versus-government.html. At this most recent estimate, Fukushima released 17% of the radiation during the Chernobyl disaster that caused substantial illness and increased cancer mortality. Apparently, plans to create an entirely new and independent nuclear regulatory agency plus the desperate need for some nuclear plants to operate this summer to avoid blackouts are causing softening of resistance to restarting at least some of the closed units. The real world of energy choices is far from perfect. All have strengths and weaknesses. Using more of one means using less of another. Making a smart choice requires understanding the comparative advantages and disadvantages of each energy source. In this real world, I view the restart of Japanese nuclear plants as good news. Others undoubtedly disagree. This is no "Oops" moment. In 2005, Governor Perry signed into law Texas's second renewable energy portfolio standard, since the 1999 standard championed by George W. Bush had been met years ahead of schedule. The 2005 Texas RPS required that 5,800 megawatts of renewable energy be operating in Texas by 2015 and 10,000 megawatts by 2025. Back in 2005, talking about requiring 10,000 megawatts of renewable energy in any one state was pushing the envelope at the least. It is a lot of power of any type. Yet, a full 13 years ahead of schedule, Texas in 2012 surpassed its 2025 renewable energy requirement. http://leadenergy.org/2011/02/the-curious-case-of-the-texas-wind-industry/. Harvesting the world class wind resource in West Texas and on the Gulf Coast, wind farms provide the overwhelming majority of Texas' renewable energy. At this point, wind alone accounts for 8% of the electricity powering Texas, an economy the size of Spain. All that wind comes with no needs for water withdrawal or disposal, creates no air pollution, and generates thousands of jobs, and millions of dollars of lease payments to landowners and tax payments. In some parts of Texas, wind farms provide about one-third of local school taxes. The renewable energy boom in Texas is also one more example of renewables growing rapidly exactly where shale gas is booming. Indeed, the shale revolution began in Texas in the Barnett and has recently took off in the Eagle Ford area. If renewable energy can boom in Texas, perhaps it is fair to say that they can boom anywhere. Possibly that is why renewables are booming around the world. Entitled "Shale Gas Takes On Coal To Power America's Electrical Plants," Forbes Magazine published an astute an article on how the battle between coal and gas for electrical generation market share is affecting pricing of both fuels. It is well worth reading. Other than weather, currently the most crucial factor affecting natural gas prices is demand for gas from power plants. Indeed, gas would be below $2 but for the significant switching from coal to gas in the last 8 months. But the success of gas in gaining electric generation market share has caused US demand for coal to drop significantly and coal prices have dived in response. At this point, any gas price around $2.75 or even a bit lower would cause significant switching of generation back to coal. And that is one fundamental reason that the price recovery of gas since April hit a wall around $2.60. The now intense coal-gas competition for power plant demand will be another obstacle to a return to even $3 gas pricing next year. Such pricing for gas, in the next 12 months, will hinge on either much more significant declines in gas production than has been seen so far in 2012, or another major source of new demand. In the short run, major new demand could only come from the combination of a hot summer and then a cold winter. That's always possible. But the odds are growing against that combination. Rising average temperatures make the hot summer more likely but the cold winter less so. All that adds up to the likelihood of gas prices remaining below $3 longer for many more months.